Our constant focus is on scaling and upgrading the technology and infrastructure with the aim of providing the best services to the investors. The Monarch Networth Capital is an ISO certified company which has been scaling new heights, only because of the trust placed on us by our clients and investors. We have always believed in building a knowledge bank to bring about a progressive change for all our customers and stakeholders. This sharing of financial knowledge has been adding more value to our clients’ asset. It has also established us as a unique entity in this domain. ↠It's not just service that we offer. We deliver service that is customized and personalized by devising unobvious and smarter strategies. 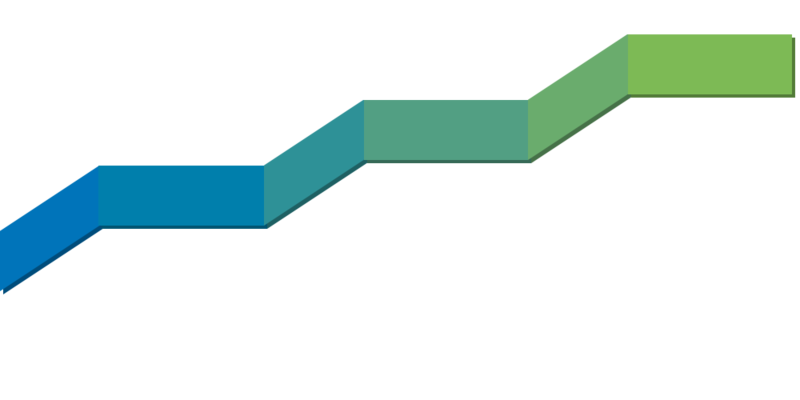 We help our clients reach their financial goals and often exceed it. Technology is the tool that aids us in helping our clients. ↠At monarch Networth capital Limited, we apply creative techniques & best research methodologies to provide cost effective, profit maximizing & risk minimizing solutions for all our clients. ↠Since the merger, we have doubled up the size of our organization and operations with an aim to nurture and improve our power innovations and to execute excellence in an increasingly competitive and a volatile world. ↠With proven track record of financial excellence and diversified client base including Retail Clients, Corporate Clients, HNIs, we are marching on transforming the industry. ↠With continuous innovation in products, services, technological offerings, and customer engagement models, we are taking customer engagement and satisfaction to new heights. To be recognized as a pioneer in providing financial services anchored with values of Innovation, Trust and Diversity. As a leading investment company, we provide quality investment solutions and help our clients build their financial securities. Our goal is to strive towards delivering a superior investment performance to meet the needs of our stakeholders by portraying the spirit of teamwork, efficiency and integrity. Launched "TechExcel" highly Technology driven Back-office solution 2017. Launched Super fast on-line trading application "Moneymaker" in 2017. Top performer cash Market NSE 2015-2016. Got award of Top Performer in Active Accounts(Big DPs) of NSDL star Performer in 2013 & 2015. Got Award of Top Performer in New Accounts – Opened(NON –Bank Category-2nd Position) of NSDL Star Performer in 2014. Got Award Leader in go green Initiative of NSDL Star Performer in 2014. Got Merchant banking license in 2013. Expanded our operation aggressively in major cities of North India and South India including Remote places as well. Network of +1003 Sub Brokers, more than 690 + Employees, 70+ Branches with more than +226100 clients across India. Empanelled/Servicing all major AMC’s Insurance Companies and Banks with our Investment Ideas and Research Products. Strong Institutional setup of more than 7 Banks, 9 DIIs, 18 FIIs & 2 Insurance companies. He is the founder of the Monarch Group (Now Merged with Networth Stock Broking Limited). With his rich experience of more than 20 years in the financial market, Vaibhav Shah is guiding the Monarch Networth Group to its next progressive era. He is an enterprising leader with a keen eye to identify and capitalize upon new business opportunities and propels the business forward. He also has a natural flair for forging long term association with clients, vendors and external business partners. He is also a focused sales leader who inspires the team with his pragmatic approach. He has got a motivational management style with a proven history of building, guiding and retaining high-performance teams that develop and implement strategies for accelerated growth. He always strives to optimize operations, reduce costs and improve service quality while strengthening the bottom-line. It is through his exceptional leadership skills and outstanding commitment that Monarch Networth has received several accolades in the recent times. He is also an eminent speaker who regularly presents his views and expertise on various market related issues on print and electronic media. Vaibhav Shah is instrumental in the rapidly expanding Branch operation, media & branding functions. He possesses excellent communication and inter-personal skills & operates collaboratively with his team members to achieve a common goal. He is a man with the vision and is on a mission to create a wide-spread business of excellence for a brighter future of the group. 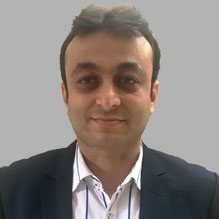 Shailen Shah is an Associate Director in the Monarch Networth group and has an industry experience of over 18 years. 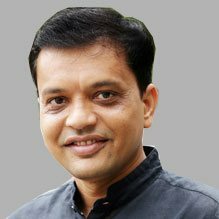 He has played a key role in the group’s rapid expansion in the Maharashtra region in the recent years. He also serves as a Director in Non-Banking Financial Company. He has proven record in our Institutional Business Segment. He has also played a key role establishing strong Institutional setup of more than 10 Banks, 13 DIIs, and 18 FIIs & 6 Insurance companies. Bankim Shah is the overall supervisor, administrator and control head of the Monarch Group. He has an expert vision when it comes to the stock market and its intermediaries. He also plays a huge role in the strategic decision-makings, overall growth and development of the organization. 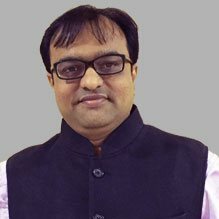 He seamlessly manages the various business functions like advising, staffing, communicating etc. He also dedicates his time on taking effective measures towards top investor services of the organization. He is also gifted with excellent operational and client management skills. He operates collaboratively with the team members to achieve a common goal of the group. He also inspires the team by being actively involved in all internal programs and services, and works to develop a broad and deep knowledge base for of all the programs. He prepares and submits the annual operational budget, manages the operations effectively within this budget, and reports accurately on the progressive strides and the challenges encountered. He promotes a culture of high performance and continuous improvement that values learning and a commitment to quality. 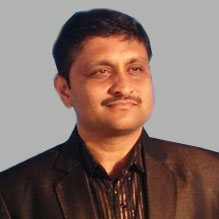 Ashok Bafna has an experience of over two decades in the broking services and handles the company’s business affairs across India. He develops the organization’s financial strategies and contributes is disseminating financial and accounting information and analysis. He also offers his recommendations to the strategic thinking and provides direction for growth by establishing functional objectives in line with organizational objectives. He has a keen understanding of the capital market. He also oversees the administrative and compliance related affairs of the company along with investment of funds and managing associated risks. He also plays a key role in supervising cash management activities, executing capital-raising strategies to support Group’s expansion and also act as a Financial Gatekeeper. Manju Bafna has done her Bachelors in Science from Mumbai University. 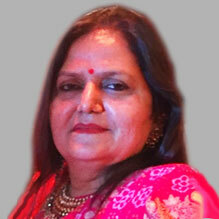 She has over 22 years of experience in handling administrative affairs of the organization. She has a broad knowledge of organizing, managing and supporting the day to day activities required for running an organization. She is very flexible with strong team-working skills. She is able to work individually and as a part of a group seamlessly. She is involved in a wide variety of tasks in areas such as recruitment, human resource planning and management. With her excellent organizational skills gained through all-round administrative experience, she is enriching the group. 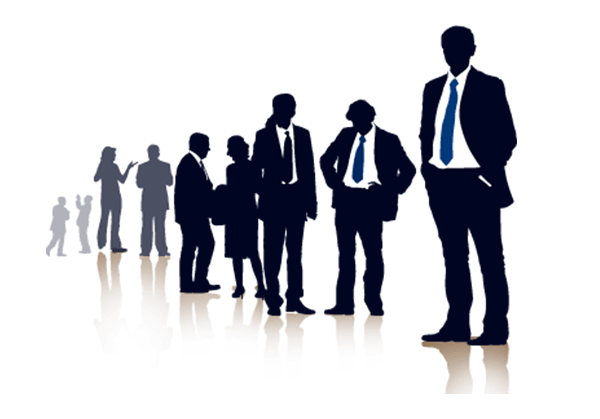 1At Monarch Networth Group, our talented pool of people comprises of qualified and experienced professionals with established track record. 2Our dynamic and visionary team of leaders instills in us the spirit of innovation and service attitude. 3Our team futuristic vision, strong technical and technological expertise, leadership skills and market insight, they inspire us to deliver unique and tailor-made financial services. 4Our human capital strength stands stronger at more than 642 professionals. We are always ready to serve our clients with extensive research and financial expertise. 5Our corporate and institutional clients have been hugely benefited by our research inputs, approachable advisors and transparent transactional process.